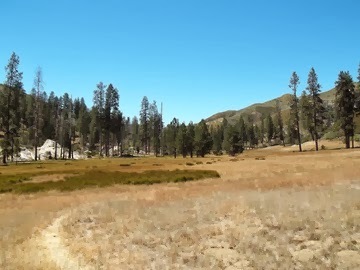 "Pine Valley is a quiet meadow, enclosing the river flanked by tall ponderosas. In its spring bloom the valley's center is field upon field of lupine, poppy, larkspur and mugwort. There are two waterfalls less than a mile from Pine Valley, both known as Pine Falls."